Button shortcuts. This is why I still prefer 2003, because it reduces the extra step of toggling among ribbons. In this post, I will list the 10 keyboard shortcuts that I use most often and that are not immediately obvious. In other words, I won’t include any shortcuts that everyone knows (e.g. Page Up, Ctrl+C). Alright, here they are, in no particular order. Move objects pixel by pixel. You may notice, if you just select an object (e.g. shape, group, table) and hit the arrow key, the object will jump by a number of pixels. And, likewise, increase font size. Go to presentation mode on current slide. Maintain ratio of object’s dimensions–i.e. a square will remain a square and not turn into a rectangle when you resize. Group objects together (in PowerPoint 2003). Ungroup a group objects (in PowerPoint 2003). Creates a duplicate copy of the object. I hope you’ll find these key PowerPoint shortcuts helpful in becoming faster and more efficient with building your PowerPoint presentations. You can find a more comprehensive list of useful PowerPoint shortcuts included in Chapter 5 of the eBook, Become a PowerPoint Guru. The first slide anyone sees in your presentation is always the cover slide. So, it’s important to start things strong and have a professional, aesthetic, and relevant cover slide. 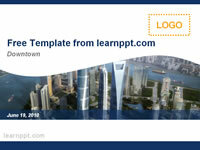 There are a lot of sites offering free PowerPoint templates. However, most, if not all, I would never recommend people using—not even to my worst enemy. So, yesterday, I carved out a few hours and created an appealing, easily customizable set of free PowerPoint templates. 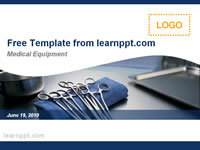 You can download them at http://learnppt.com/free-powerpoint-templates.php. There are 10 up right now, covering a range of industries, including Financial Services, Medical/Healthcare, Construction, Manufacturing, and General Business. Take a peek. So what if you’re looking a very specific template or cover design? This tutorial will focus on leveraging any one of the templates I put up and customizing it for your specific need. For illustrative purposes, I will pick a very unique example. We will customize a template for the movie Avatar. The first step is to download one of the free PowerPoint templates. 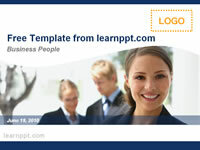 Notice that the photo space for the ‘Business People’ template is slighter larger than that of the others. Now, go to Slide Master mode. In 2003, this is ‘View’ –> ‘Master’ –> ‘Slide Master.’ In 2007/2010, this is ‘View’ –> ‘Slide Master’ (under ‘Master Views’). Click on the photo. You will notice you can easily move it around, resize it, and delete it. Go ahead and delete it. Copy and paste the image into your PowerPoint slide master cover slide. (If you have a graphics editing program, you may want to use it to reduce the size of the image prior to copying it into PowerPoint. This will help minimize the PowerPoint’s file size.) Send the photo to the back. Next, resize and crop as needed. 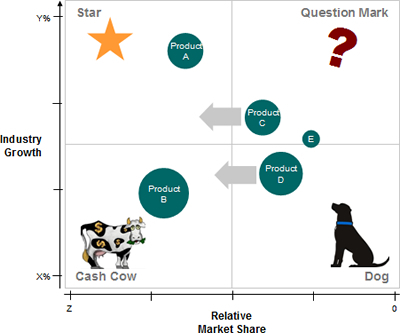 The 2×2 Diagram – A consultant’s best friend? Representation of lots of data in a visually meaningful and intuitive way can be a daunting task. In fact, there’s quite a science to it. When representing multiple dimensions of data on a single diagram, consultants often rely on the 2×2. Not only is the 2×2 an incredibly flexible and powerful tool, it is also very easy to construct in PowerPoint. There are many well known frameworks based on this design. Perhaps the most famous is the BCG Matrix. If you’re not sure what a 2×2 is, take a look below at BCG’s Growth Share Matrix (or check out this BCG Matrix PowerPoint document for more info). The 2×2 can be used to represent up to 5 dimensions of data. Let’s break these dimensions down. The first 2 dimensions are represented by the 2 axes. Simple enough. It is customary for the increase in desirability to increase as you increase across each axis (i.e. upwards on the y-axis, towards the right on the a-axis). This results in the upper right quadrant becoming that “Magic Quadrant.” Likewise, the bottom-right is the quadrant no one wants to be in. It often has bleak names, like the “Dead Zone” or “Graveyard.” Note this is not the case for the Growth-Share Matrix. The next 2 dimensions are represented by the circles’ colors and sizes. For color, it is not a continuous scale. You will usually use the color attribute to separate the circles into 2 or 3 specific categories. If your circles represent companies, your colors can be used to distinguish incumbent vs. new entrant; public vs. private; or domestic vs. international companies. Although size is on a continuous scale, it is often difficult to gauge exact relative size. Therefore, it is best to include a large and small circle in your legend as points of reference. The size of the circle is often used to represent a relative dollar value. Examples include market size, size of opportunity, or annual sales. Remember that, in PowerPoint, you need to hold down the Shift key as you resize shapes to maintain its proportions. The 5 Dimension – And Beyond? The 5th dimension is represented by some direction given to the circles. On a single 2×2, this is represented by an arrow paired with each circle. This sense of direction tells your audience where the entity is heading. It tells the story of future projections, market trends, and market dynamics. A great way to represent this is often with two 2x2s side by side. This allows your audience to immediately see which circles have remained constant through the years; which have declined; and which have improved their positions. Do not try to illustrate changes in position using animation within PowerPoint. In fact, in general, animation is frowned upon. This is because 1) you will lose the effect on printout copies and 2) people will not see it if they are following along, but not in PowerPoint presentation mode. It is not recommended to go beyond 5 dimensions. Otherwise, the slide will look too busy and often your audience won’t be able to retain the information very well. However, if you feel the need to, you can embed additional dimensions or layers of information by using different shapes (in addition to the circles), perhaps outlines capturing clusters, and meaningful callout boxes. With that said, I hope this is enough food for fodder to get you started on your 2×2 PowerPoint diagramming needs. If you’re overly ambitious, you can also go for a 3×3 or bigger. Do you run a consulting firm? If so, take a look at this article, which discusses Why FlevyPro is a Must Have for Independent Consultants and Boutique Consultancies. In my PowerPoint eBook, I have a section called “The Missing Diagram,” where I describe how one would go about creating a very distinct, specialized PowerPoint diagram from scratch. I call this a “Missing Diagram,” because it’s one of those PowerPoint Diagrams that you don’t think you can easily create with AutoShapes. In the book, the example used is a tool box diagram. From the feedback I received, it seems this section was well received and readers would like more similar powerpointing examples. So, here it is. In this post, we will create a diagram of a money safe. Whether it’s a bridge, a dinosaur, or a book shelf, chances are a picture of it already exists online. The only problem is that picture isn’t PowerPoint friendly—as in, it will look out of place or unprofessional if you just copy and paste it into your present. Your first step here is to find an image of what you would like to create. You will use that image as your template. I find mine on Google Image Search. Sometimes, I couple my search phrase with words like ‘icon’ or ‘gif,’ because I want to find a template image that is already cartoonish. I didn’t in this example. The reason you want to find an existing image as a template is because it is too difficult (and inefficient) to create a diagram based purely on what you picture in your mind. Unless you’re a trained artist, what you imagine in your head usually looks very different when you draw it out on paper—not to mention on PowerPoint. Step 2 – Paste and grow. Paste the image you found into PowerPoint. Resize the image, so that it takes up the majority of your screen. Remember to hold down ‘Shift’ on your keyboard as you resize to maintain proper dimensions. Don’t worry if the image turns blurry or becomes pixelated. Step 3 – Recreate the shell. Starting out, this step is the most difficult. However, with some practice, you will be able to do this with ease. With the Freeform Line AutoShape (to find this, go to AutoShapes > Lines > Freeform), create the outline of the shape. Remove any line colors and choose a solid fill. You can do this with multiple shapes if easier. For instance, piece together rectangles and triangles for simple outlines. Just group (Ctrl + G) like shapes together for easier manipulation. Remember, if you grouped shapes will resize proportionally together. If, instead, you just select multiple shapes and resize, they won’t resize as cohesive unit. In this example, I created 2 shapes. One for the door alone; one for the rest of the safe. The reason for this is because I would like to show different things (e.g. charts, documents) coming out of the safe in my final diagram. Therefore, I want the door to be a separate that I want to bring to the forefront of the slide. Step 4 – Create layers for depth. Repeat the step before to capture additional detail to you diagram. It helps to send the existing layer to the back, so that you can work off the original picture for each new layer. This step is iterative, so let’s step through each iteration. You see in this first iteration, I just added some additional darker freeform AutoShapes. And some more. 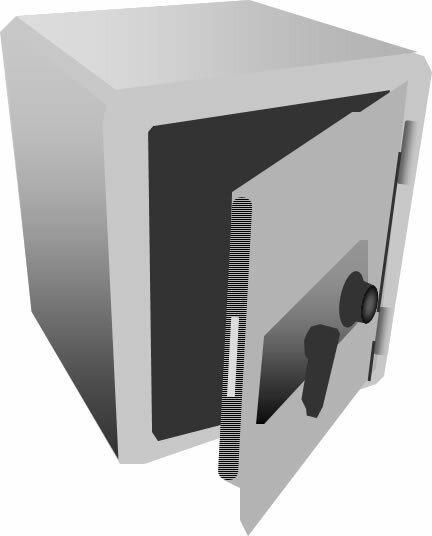 The knob of the safe was constructed with a couple circles and a rectangle. 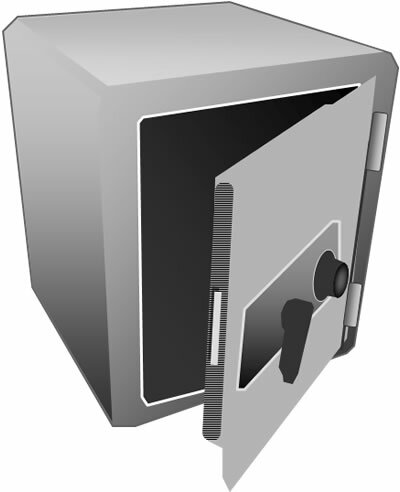 I am now adding some smaller details, narrow rectangles and lines, to highlight separations on the safe. In the next several iterations displayed below, I started using PowerPoint fill effects, such as 2-color Gradient fills and Patterns, to add dimensionality and contour. In addition, I added Shadows to some shapes for further dimensionality. Here is a comparison of the final PowerPoint diagram versus the original image found on Google. Step 5 – Group and shrink. Group together all your shapes. Then, resize it down to a more appropriate size. It is critical to group everything together first. Otherwise, as you will find out the hard way, your final diagram will not resize correctly. Now, with your new diagram, you can use it in your slide to portray your original purpose. 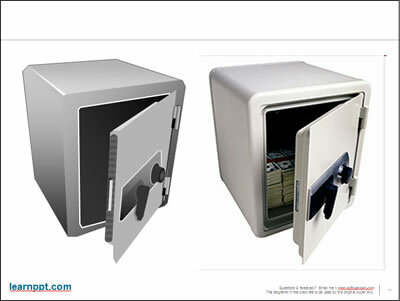 See the example below, where I am using the money case to illustrate a vault of PowerPoint slides. Discounting the time it took to write this tutorial, the actual time to create the money safe diagram took about 6 minutes. 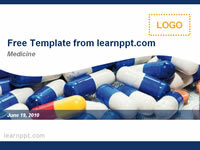 The money safe is now included in the eBook PowerPoint Toolkit, which is a set of 50+ PowerPoint diagrams and templates free with the Become a PowerPoint Guru eBook. You can download a free PowerPoint plugin called Flevy Tools that creates commonly used PowerPoint diagrams here: http://flevy.com/powerpoint-plugin. Flevy Tools allows you to dynamically generate Gantt Charts, Harvey Ball diagrams, approach diagrams, and other diagrams. For the time being, it’s a completely free download. The following is an except from my eBook, Become a PowerPoint Guru. This is the introduction to Chapter 8, Approach. You will find most executive presentations have an Approach slide somewhere in the beginning. The Approach shows a simple, intuitive diagram of how a certain initiative is laid out. An example would be phases of a project (e.g. 1. Define the Problem, 2. Generate Hypotheses, 3. Conduct Research, etc.). This chapter will cover how to quickly create an Approach Diagram and leverage it throughout your presentation for consistency. When you construct this diagram, always use a pentagon to start the Approach. The flat edge on the right delineates that this is the start of the Approach. When creating the diagram initially, don’t worry about sizing things correctly. Once you create the full, X-Step Approach diagram, select all the shapes and group them (i.e. Ctrl+G). This will allow you to easily resize the diagram as a cohesive unit. There are many small things you can add on to this simple diagram to add additional insights and depth. For instance, adding numbered circles furthers emphasizes the sequence of steps. You can highlight a specific chevron to indicate ‘current phase/step.’ Furthermore, you can add an element of timing using a parallel arrow—or, by resizing the lengths of the chevrons. The examples below illustrate Approach diagrams with added embellishments. I’ll post the rest of this chapter in a future blog post.